Why spend hundreds of dollars when you can turn your favorite sunglasses or safety glasses into reading glasses using Stick-On Bifocals? With Optx-20/20 Hydrotac lenses you can eliminate squinting to read, stacking safety glasses over your reading glasses or wearing two pairs of glasses around your neck. Plus you'll save your hard earned money! Optx-20/20 Stick-On lenses are soft, pliable, lightweight, precision-optical lenses that easily apply to any style sunglasses with water. They can be removed and reused over and over. 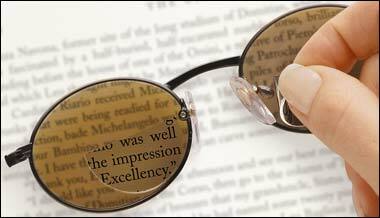 Optx-20/20 Hyrdotac Stick-On Bifocals may be trimmed if necessary for a true custom fit. Proudly Made in USA.